You can see beautiful and fantastic Akitsuki in the off-season in the following video filmed by one of our good friends by drone. As one of popular sightseeing sites, Akitsuki gets busy in spring for cherry blossoms and in tourist season in fall. But there is one more attraction that we fell in love with. It lies in their day-to-day lives in Akitsui. As the town is selected as National conservation district of traditional buildings, it has kept its old streets and houses. Therefore, their ordinary lives themselves are extraordinary for the visitors from big cities. We would love you to enjoy the old town of Akitsuki with all different seasonal traits with wonderful nature, and the atmosphere brought by local people. Once I asked one resident, “What kind of problem do you have recently?,” then the resident said, “A hen from the next-door neighbor laid eggs in my backyard? Should I return them or not?” That truly portrays the coziness of Akitsuki I found, I thought. Eggs of a hen next door!! 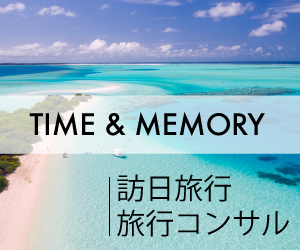 At Yu, we offer not only a face of a famous sightseeing site, after much consideration of how we can bring you the beauty of an “ordinary life” of Akitsuki, we also offer a day-to-day life of Akitsuki in an ordinary manner instead of a spacial getaway place. During your stay, we would like you to make yourselves at home with no hustle and bustle. We have 3 different types of rooms available. Copyright © 秋月古民家旅館「游」 All Rights Reserved.